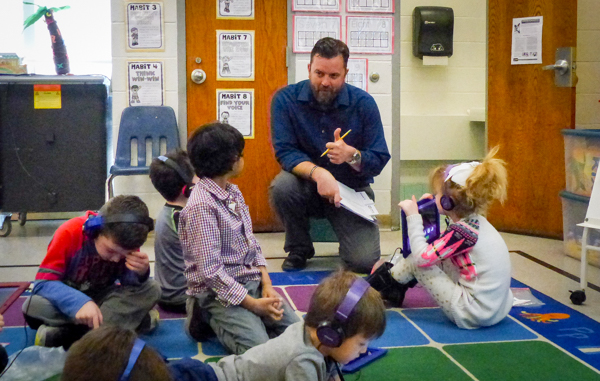 This pro­gram, start­ed last year at Neshaminy, offers an oppor­tu­ni­ty for con­struc­tive dia­logue on the effec­tive­ness of cur­ric­u­la and class­room pro­ce­dures based on inter­ac­tion with teach­ers and stu­dents as they go about their nor­mal day. It is based on the con­cept of med­ical rounds con­duct­ed at hos­pi­tals to observe patient care, share best prac­tices and adjust treat­ment based on shared knowl­edge com­bined with those obser­va­tions. It not meant as a tool to eval­u­ate teach­ers, but rather as one to pro­mote and share tech­niques that work and offer con­struc­tive, prac­ti­cal sug­ges­tions based on real‐world class­room activ­i­ty. Instructional Rounds was devel­oped at Harvard University. Members of the Neshaminy staff attend­ed Instructional Rounds train­ing at Harvard last year and are teach­ing their col­leagues the tech­niques for future imple­men­ta­tion through­out the District.